I was born at the age of twelve on a Metro-Goldwyn-Mayer lot. 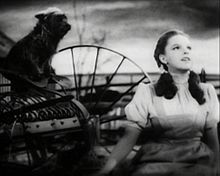 Judy Garland (10 June 1922 – 22 June 1969), born Frances Ethel Gumm, was an American film actress and singer. She is one the Ten Greatest Female Stars of American Cinema.. I've never looked through a keyhole without finding someone was looking back. You are never so alone as when you are ill on stage. The most nightmarish feeling in the world is suddenly to feel like throwing up in front of four thousand people. I'm just an Irish biddy. Go and tell that nasty, rude little princess that we've known each other for long enough and gabbed enough in ladies' rooms that she should skip the ho-hum royal routine and just pop over here and ask me herself. … Tell her I'll sing if she christens a ship first. Garland's annoyed response to a note from Princess Margaret "commanding" her to sing at a party in 1965, as quoted in Princess Margaret : A Biography (1977) by Theo Aronson. Wouldn`t it be wonderful if we could all be a little more gentle with each other, and a little more loving, have a little more empathy, and maybe we'd like each other a little bit more. As for my feelings toward "Over the Rainbow", it's become part of my life. It is so symbolic of all dreams and wishes that I'm sure that's why people sometimes get tears in their eyes when they hear it. I wanted to believe, and I tried my damnedest to believe, in the rainbow I tried to get over, and I couldn't! … So what? Lots of people can't! I wish you would mention the joy she had for life, that’s what she gave me. If she was the tragic figure they say she was, I would be a wreck, wouldn't I? It was her love of life that carried her through everything. The middle of the road was never for her — it bored her. She wanted the pinnacle of excitement. If she was happy, she wasn’t just happy, she was ecstatic. And when she was sad, she was sadder then anyone. She lived eight lives in one, and yet I thought she would outlive us all. She was a great star, and a great talent, and for the rest of my life I will be proud to be Judy Garland's daughter. It wasn’t suicide, it wasn’t sleeping pills, it wasn’t cirrhosis. I think she was just tired, like a flower that blooms and gives joy and beauty to the world and then wilts away. Liza Minelli said she can't sing well enough those "special songs" of her late mother, Judy Garland, so she doesn't sing them at all. The award-winning entertainer said she'd "rather present a first-rate version of myself than a second-rate version of Mama." I couldn't sing Mama's special songs. I couldn't do them as well. I would rather present a first-rate version of myself than a second-rate version of Mama. I don't sing them because I couldn't sing them as well as she did. I'd rather be a first-rate version of myself than a second-rate version of anybody. I'm carrying on a tradition. But I'd rather be a first-rate version of myself than a second-rate version of somebody else. I'm proud of my parents, and the only way that I can prove it to them is to take what they gave me and work my head off. It really scared me to do what Mom did because I never did anything that she did. I promised her that I would never sing her songs, and I kept my promise. "You sing them better than anybody. I don't want to be a second-rate example of you. I want to be a first-rate example of myself." My mother once told me never be a second-rate version of somebody else when you can be a first-rate version of yourself. My mom was a phoenix who always expected to rise again from the ashes of her latest disaster. And in spite of her self-doubts, she had a very strong sense of who she was. She had a sense of self-worth. She loved being Judy Garland. Did she secretly long to be Frances Gumm? Somebody, Minnesota housewife? Are you kidding? She'd have run off with a vaudeville troupe just the way my grandfather did. Also paraphrased as: "My mother was a phoenix who always expected to rise from the ashes of her latest disaster. 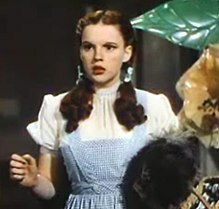 She loved being Judy Garland." I really hadn't intended on becoming a professional musician, but that isn't to say that I didn't have the dreams of being a Judy Garland in some sort of wonderful musical where this music came out of nowhere; things like that. This page was last edited on 27 February 2019, at 20:36.